Small escapade in New-Zealand ! New Zealand, is a country of Oceania, in the Southwest of the Pacific Ocean, constituted by two main islands (the island of the North and the island of the South). 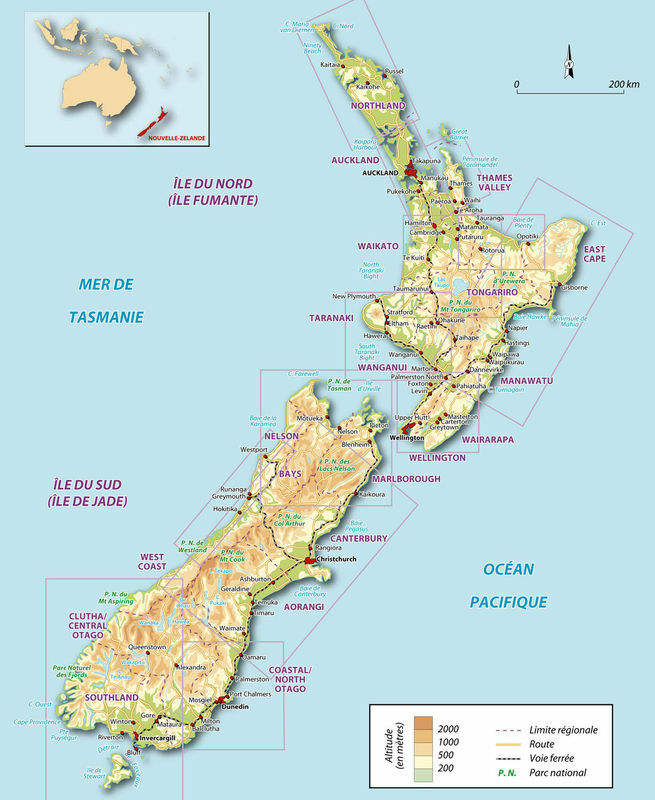 The population is mainly of European origin, whereas the Maori form the most numerous minority. The first thing which you will discover probably of Maori in New Zealand, they are necklaces and pendants. The qualities are very variable, generally pendants are in bone, paua, shell or jade. The culture Maori it is especially the former tribal lifestyle, that continues of generation in generation. 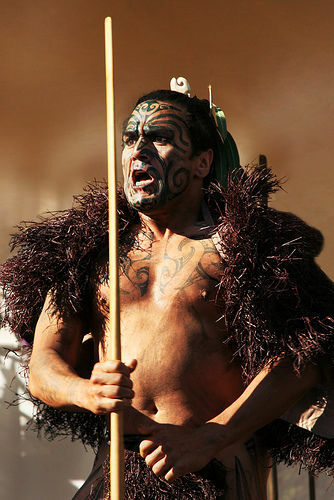 The Maori were big warriors who spent time being in confrontation, there remains today dances and singings were resumed by their descendants during show. Maori are the native Polynesian populations of New Zealand from the 13th century. They are more than 600 000 today to be lived on this island and they represent an important part of the culture and the history of the country. Today, I am going to interview somebody, to know more about his lifestyle. -I am on a beach of Wellington, in search of a young person. There is a group of young mans, which plays volleyball on the beach. I can interview one of you on your lifestyle? -Yes, of cours, we are going to rest us on a bench. -I'm Sam. It's the first popular name of boys in New-Zealand. - Oh ! Good. And how old are you ? -I lived in a small village near Wellington, Lyall Bay. -Erm, what's your lifestyle ? If you want, I can also speak to you about the cooking. -Oh , I shall really love. - The New Zealand cooking was a long time the fish and the chips, the meat magpie, pudding come of their native England. -Fortunately, it is not any more the case! Marked by the excellent quality of the local fresh products, most of the time organic, the modern New Zealand cooking can show itself excellent, in a salty-sweet kind. -Ok ok, it's very interessant ! -Let me think ... Oh yes ! The big supermarkets are opened 24 hours a day ! -Not surprising ! It's really incredible to return at night and to go to make the races at two o'clock in the morning ! Well, thank you verry much Sam, It was very interesting, good bye ! The sport plays a major role in the New Zealand culture, particularly the rugby union. The team of piece of New-Zealand of rugby union, nicknamed "All Blacks", has the best statistics of victories of all the national teams! She won the first Rugby World Cup to XV in 2011. The rugby takes away all the votes, from a great distance. The haka, Ka mate, the war dance which they intone before every beginning of match made to terrorize better their opponents. Installation in your accommodation in city center then go to visit the city or the surroundings: stroll in the mount Eden, which is a former volcano and which offers a panoramic view on the city, go to go shopping in the old district of Parnell, visit of the museum and the walk on the marina. In the evening, dine to the panoramic restaurant of Sky Tower, of 320m which dominates the city. Departure for the bay of Islands, famous for her white sand beaches and her 144 islands. In the morning, leave for an offshore exit and swim with dolphins, an only experience ! On the way, stop to Matakohe to visit the museum of the kauri which is a native tree, then trails round in the forest of Waipoua where is the oldest old kauri of about 2000 years! Continue until Paihia by way of the port of Hokianga. Paihia is the main city of the bay of Islands. The afternoon, the visit of the house of the Treaty of Waitangi and his gardens. Late in the afternoon, take the ferry until Russel, during 10 minutes and walk on foot in this charming village, where the first Europeans settled down in 1809. Cross the night in the Bay of Islands. Come down along the coast is of the province of Northland until Whangarei. 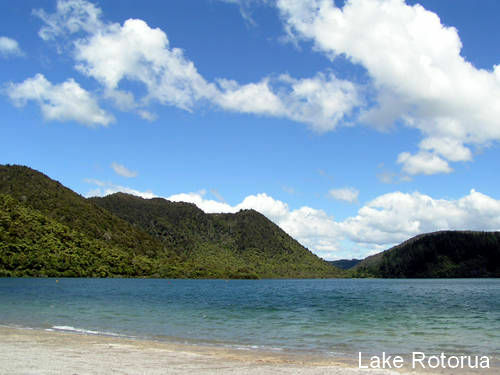 Then continue up to the regional park of Waitakere, real paradise with its forests of tree ferns and her black sand beaches, then cross the night in Waitakere. Departure for Rotorua, who is a spa town and a Maori cultural center. Along the way, crossed by the province of Waikato where took place numerous battles between the British soldiers and the Maori in the XIXth century. At the beginning of the evening, show of traditional singings and dances followed by a Maori meal (Hangi). You end your evening with a night-visit of a center of rehabilitation of kiwis, the bird symbol of New Zealand. Cross the night to Rotorua. 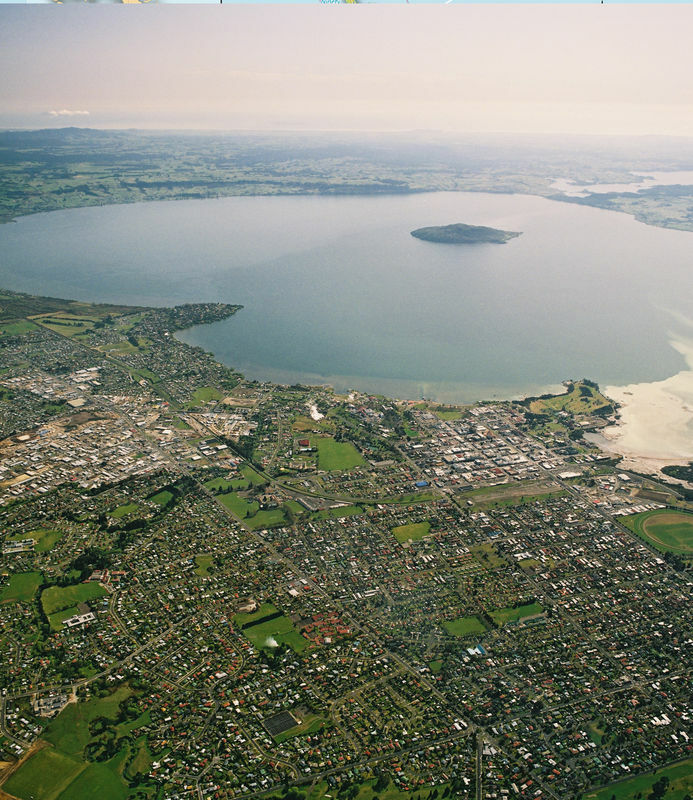 Rotorua, the Mecca of the Maori culture, attract numerous visitors seduced by its thermal activity and its lake, renowned for the trout fishing. Discover the city on foot, of the lakeside in the gardens of the Government, by way of the small Maori village of Ohinemutu. During the day, embark on a seaplane for a flying of 30mn volcanoes and craters of the region. At the end of the day, relax in the sources of warm water of the Polynesian baths. At night to Rotorua. In this blog you will discover the differents culture of the zelande piece of news an nterview between new zelanders and myself. To end, I sugger ou a route, making the tour of the island. Good visit!